Regular readers of my blog should know by now that my family loves cheesecake (link to other cheesecake recipes on my blog), that I like trying new recipes — experimenting and tweaking — and that I am cheap. ALDI brand for me and extra points if the ingredients are on Special. It’s almost summer here and that means more fruits available at the stores. I saw mangoes at a great price, so I grabbed two. Just two. In case anyone is wondering, yes, we do eat fruits as they are. They don’t always get turned into cakes. So, the hunt was on for a mango cheesecake recipe — or, recipes — and the wherewithal to be creative and make it mine. 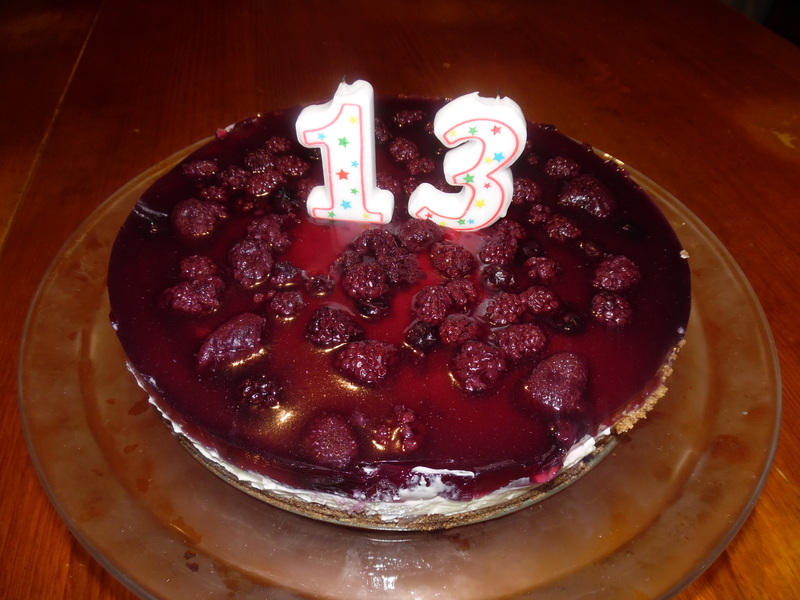 I made a Pandan Cheesecake for my daughter’s birthday last November. This is a tweaked version of that recipe. 1. Combine biscuit crumbs and melted butter. Press into a 24cm (9.5 in) square springform cake tin. Put in the refrigerator to chill and set. 2. In a large bowl, add ingredients for filling one at a time, beating well after each addition. Pour into cake tin over the base. Chill until firm. Here is an interesting article about the difference between agar and gelatin. Combine all the ingredients for the topping — except the desiccated coconut — in a small saucepan. Stir over high heat until it boils. Then, lower heat and let it simmer for about 5 minutes. Remove from heat and let cool slightly. If you are using gelatine, you do not need to boil the mixture. Using warm/hot water should be sufficient. Pour agar mixture over the chilled cheesecake and, working quickly, remove as many bubbles as possible. Agar can set at above room temperature! It was >30C today and you can actually see traces where the bubbles were! The agar was setting as I was popping the bubbles! Put back in the refrigerator to chill (if necessary). Sprinkle desiccated coconut over the cake. Note: When I say jelly, I am NOT referring to fruit preserve. I am referring to a gelatin dessert-type of food. US Americans refer to such foods by the brand name, Jell-O. Now that I’ve got that cleared up…. I made this for my younger son’s birthday recently. He said he wanted a cheesecake and so I tried. Combine biscuit crumbs and butter, press onto the base of a 24cm spring form pan. Chill. Beat cream cheese until smooth, add lemon juice, sweetened condensed milk and beat well. Pour into prepared crumb crust. Chill until firm. Top chilled cheesecake with canned mixed berries. Prepare the jelly using 3/4 the amount of water the packet directions call for. I do this so the jelly will be firmer and not so wobbly. Pour jelly mixture carefully over the cheesecake. Return to refrigerator and chill until firm.